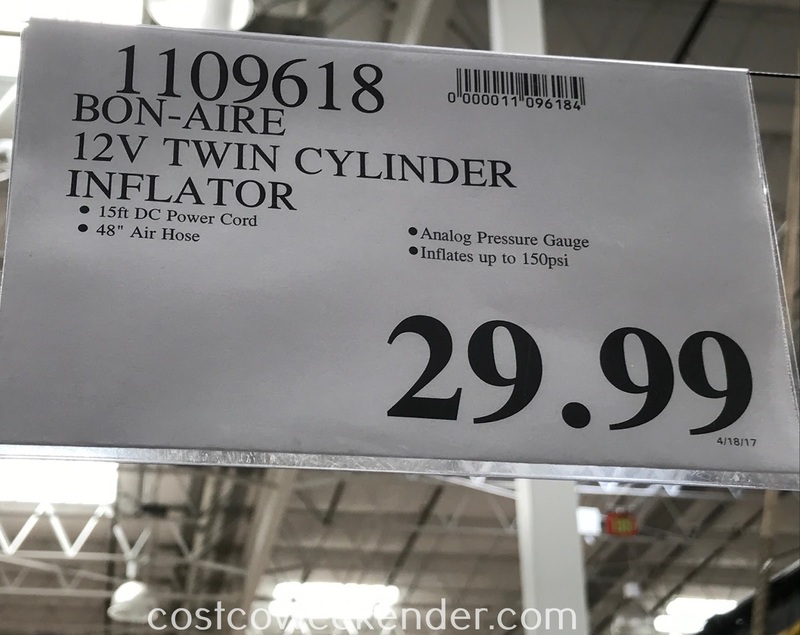 It's always nice to have a good inflator to inflate things around the house. That is why the Bon-Aire 12 Volt Inflator TC12C is a practical item to have in your home. You can quickly inflate your car's tires if they're low in air or your child's bike tires if they seem a little flat. Not only that, but it comes with a sports needle, so that you can put air in footballs, soccer balls, or basketballs. 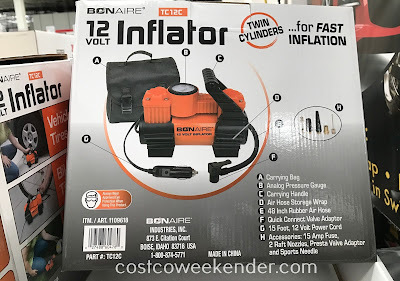 I bet you're probably going to use the Bon-Aire 12 Volt Inflator TC12C mostly on sporting equipment more than anything else. 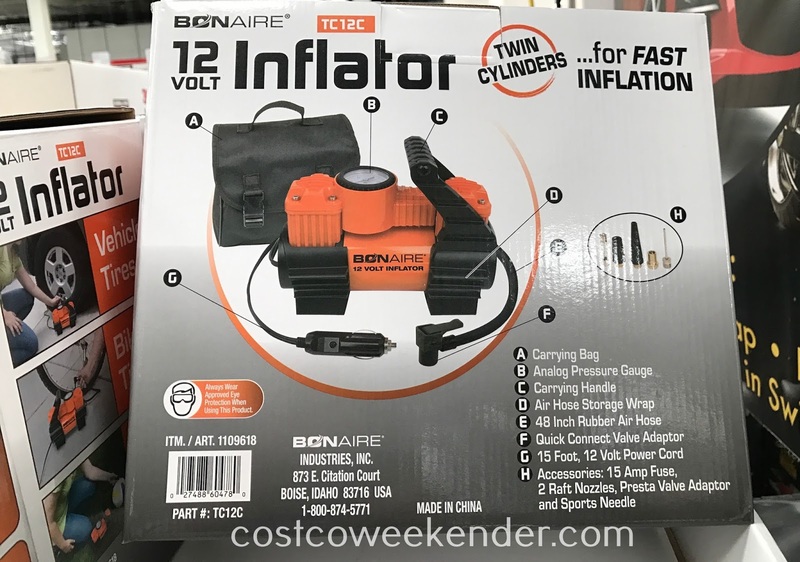 You won't regret getting the Bon-Aire 12 Volt Inflator TC12C. 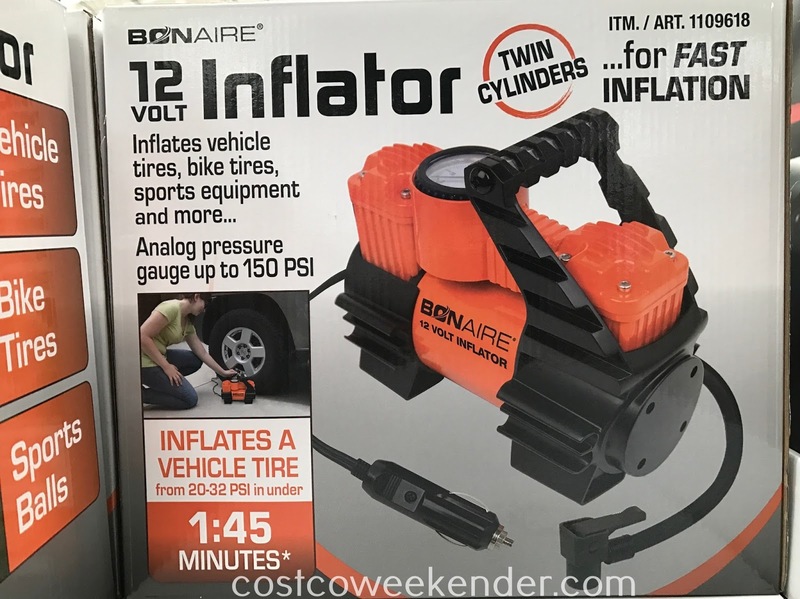 You know you'll eventually need some sort of portable air compressor, and when you do, you'll be glad to have one.